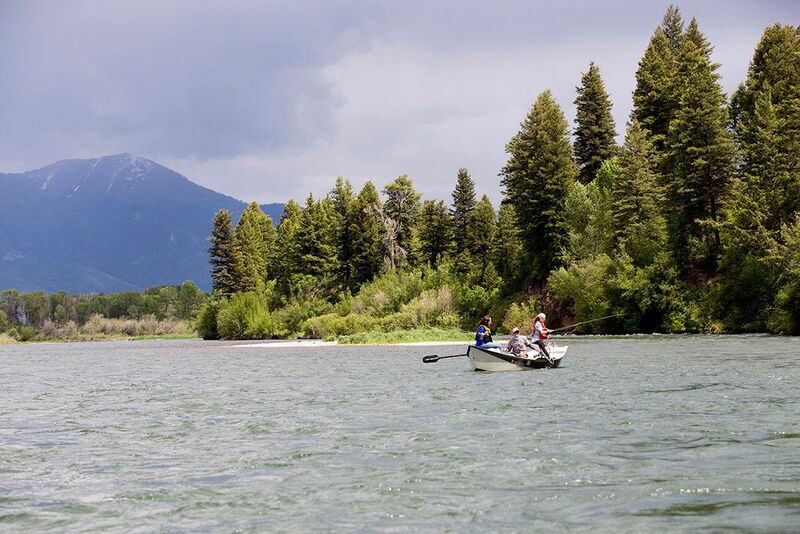 Something terrible happened to Steve Davis, BBA '78, and he turned his suffering into an incredible fly fishing camp for kids on Idaho’s Snake River. and Shawna* has a bite. 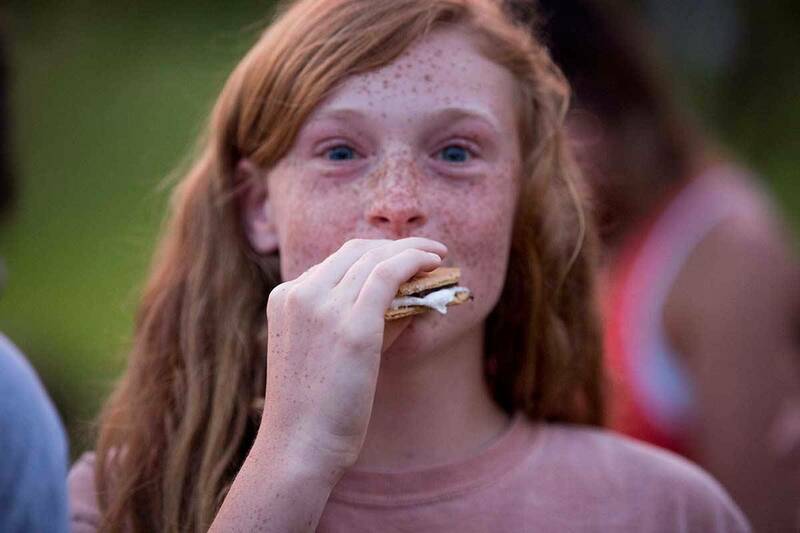 Thirteen years old with wavy cinnamon hair, a smattering of freckles, and a resolute gaze, she’s been standing in a little gray fishing boat for four hours, her wrist flicking back and forth as she casts her rod again and again to no avail. 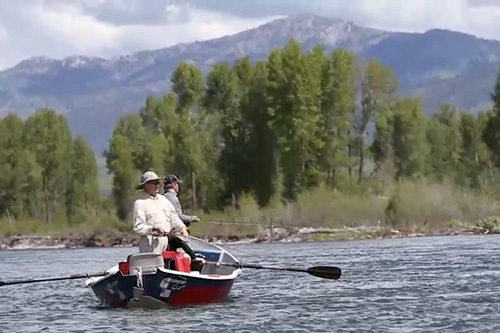 Jim Hickey, a former professional fly fishing guide, steers the boat toward advantageous spots and offers encouragement: “You got this, girl!” This stretch of cold, pristine water is teeming with trout, but none of them have been tempted by the gold stonefly nymph at the end of Shawna’s line. 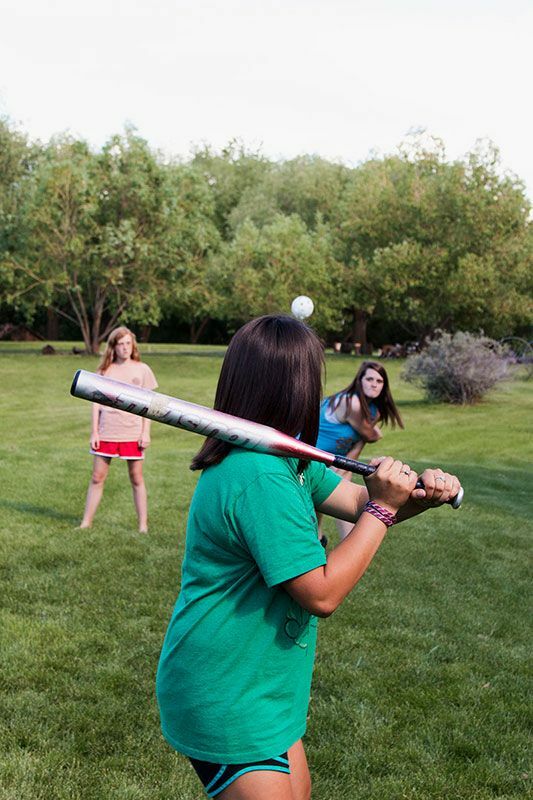 But now the line jerks and tugs, and Shawna’s green eyes widen as she reels it in. 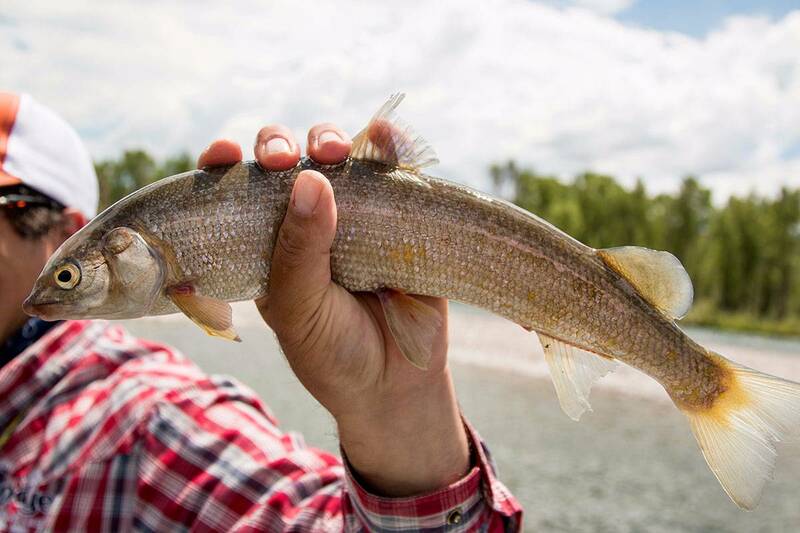 Hickey plunges his hand into the river and holds up her prize: a flopping five-inch whitefish. “Just a whitey,” he announces. Most fishermen turn their noses up at whitefish, a common and homely species, but Shawna’s still smiling. “Oh well!” she says cheerfully. 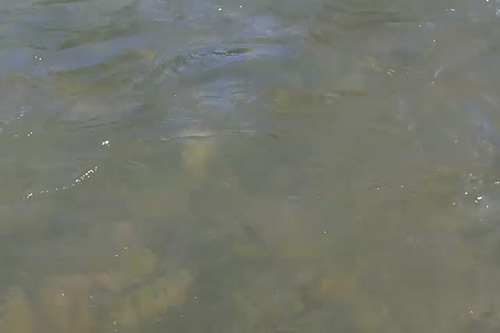 The fish goes back in the water, and with a shake of her head, Shawna starts casting again. She’s in no hurry. Even though she’s never fly fished before today, she already seems to grasp one of the key tenets of the sport: There’s only so much you can control. The river brings you what it wants, and all you can do is enjoy the ride. He hopes that, in some small way, fishing can help them heal, the way it healed him. At 59, Davis, BBA ’78, is a soft-spoken man with a youthful face, ruddy cheeks, and close-cropped white hair. 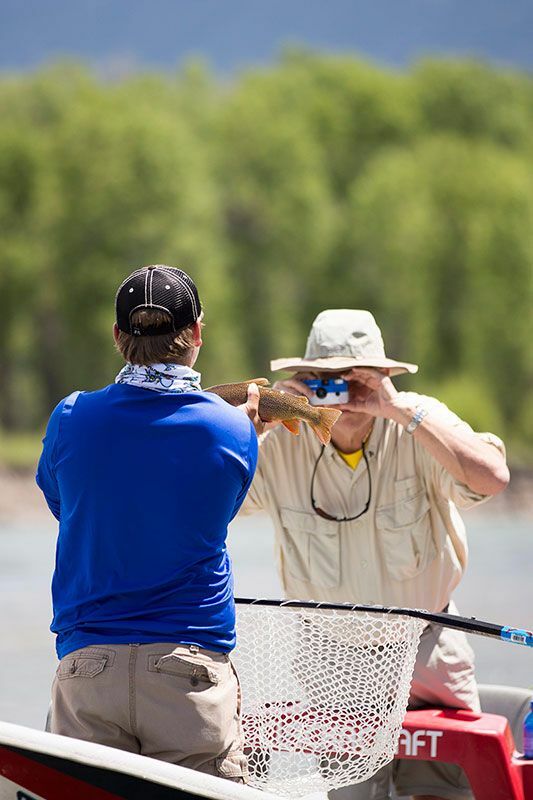 He’s the founder of a fly fishing camp called On River Time. 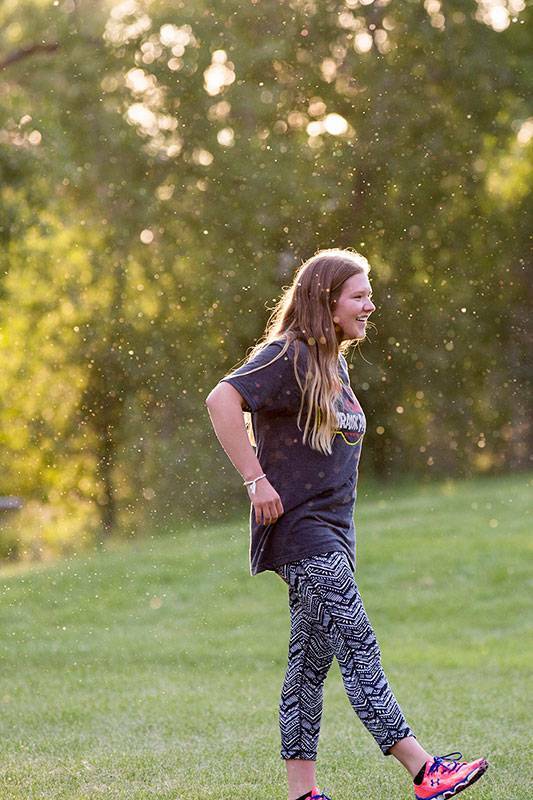 For one week each summer, he and his team bring a small group of teenagers to a luxury lodge in Irwin for a week of fishing and fun. 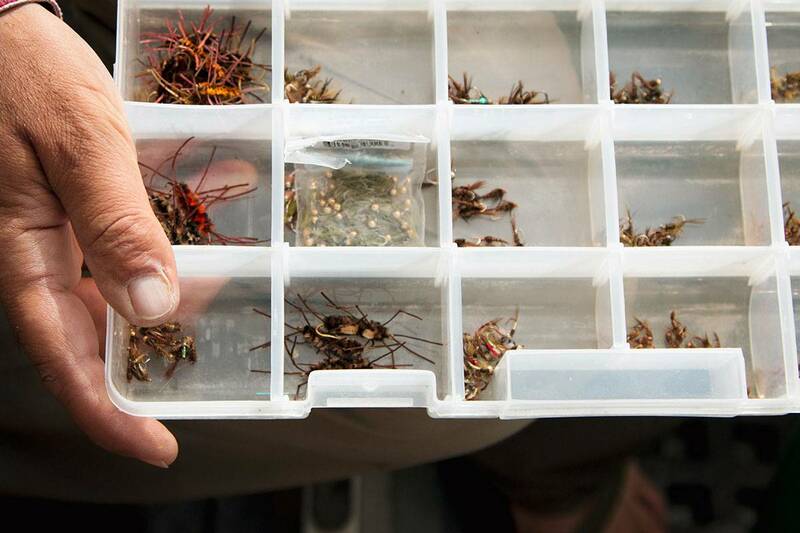 Over long days on the water, they master the art of casting and mending, of tying flies and studying the current. 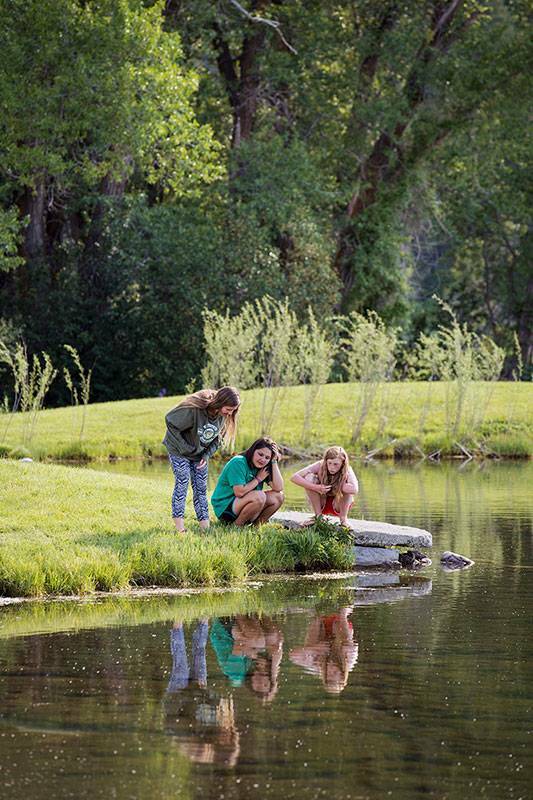 In the evenings they fish some more, play touch football, or sprawl on the grass and talk about their favorite video games, their celebrity crushes, their hopes and dreams—typical teenager discussions. But they are not, in fact, typical teenagers. They are all survivors of child abuse, neglect, or human trafficking. They have felt and sometimes still feel the deep-seated shame and hopelessness that can remain long after the abuse is over. Davis understands this better than most. And he brings them here because he hopes that, at least in some small way, fishing can help them heal, the way it healed him. 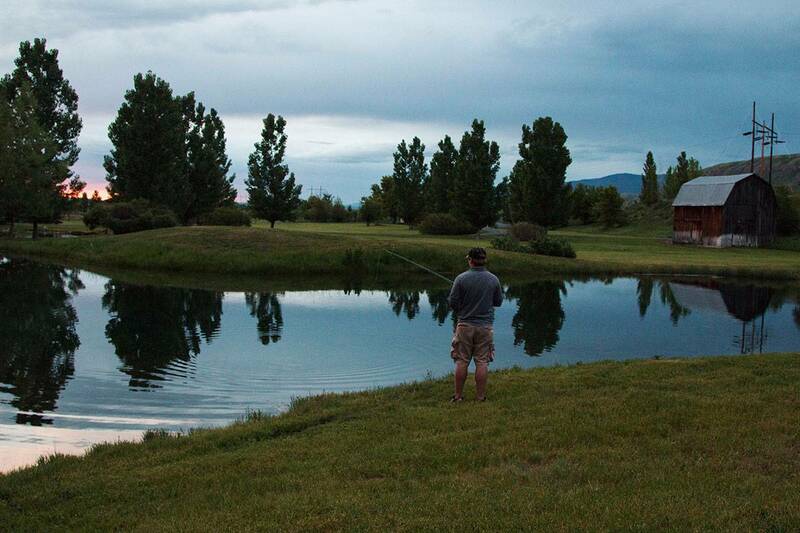 Steve Davis, BBA '78, fishing on the Snake River behind the Lodge at Palisades Creek. When Davis was growing up in Kirbyville, Texas, in the 1960s, everybody knew everybody’s business. This was partly because of the familiarity inherent in small-town life, and partly because the telephones were still on a party line. “We shared the line with five or six families,” he remembers. “Everyone had their own ring. Three short rings meant the call was for us.” Often, at a pause in the conversation, Davis could hear the breathy static that meant someone was eavesdropping. Davis spent most of his time outside. “You either made your own fun or you did chores,” he says. His father worked shifts at a paper mill, while his mother stayed home with him and his younger brother and sister. The family always seemed to be just scraping by, even with a small farming operation on the side. Davis’ chores included feeding the cows, picking beans in the garden, and mowing four acres of grass with a perpetually broken mower. When adults asked what he wanted to be when he grew up, he answered, “A traveling man,” although he wasn’t sure exactly what that meant. He only knew he wanted to see the world. “My dream from the time I was 8 years old was to just get on our horse and ride out of town,” he says. It was a hardworking childhood, but a happy one. Davis loved school and did well in it, and his parents cheered him on. He played on the football team. There was never any question that he would make it to college, even though no one else in the family had and it wasn’t clear where the money would come from. And he speaks fondly of what it was like to be a free-range kid: “We had 1,000 acres, a treehouse, and a BB gun.” He also had a secret. Starting when Davis was in preschool and ending when he was in fourth grade, a relative sexually assaulted him several times. He didn’t have a word for what had happened, but he felt deeply confused, scared, and ashamed. “I remember just not knowing what it was,” he says, “and blaming myself.” Night after night, he would wake in a cold sweat after reliving the abuse in his dreams. 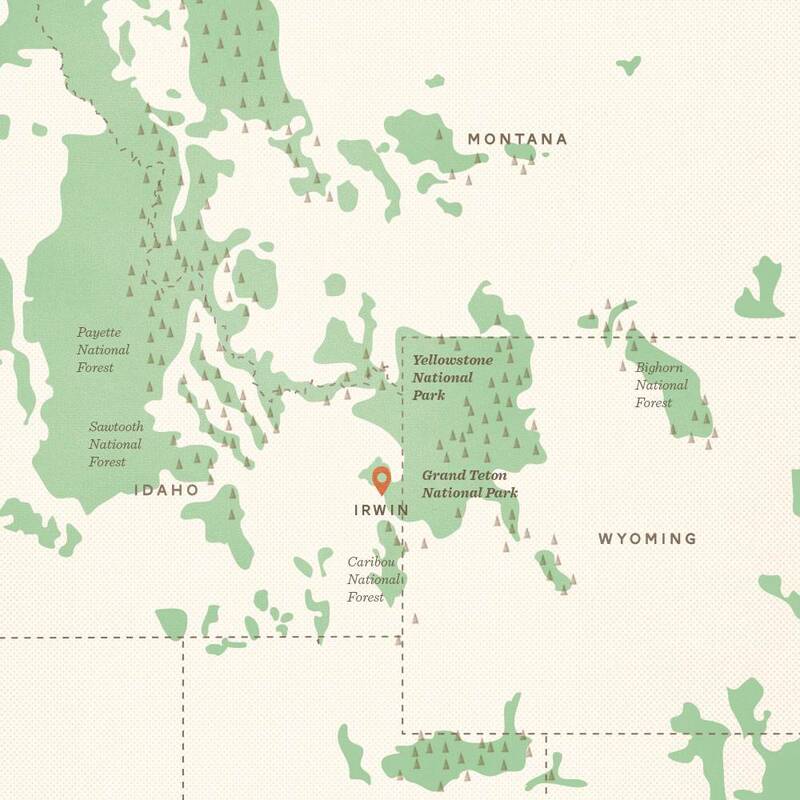 Cutthroat trout are native to the southfork of the Snake and the upper Snake River in Jackson Hole. The trout can be identified by a distinctive red slash under the jaw. 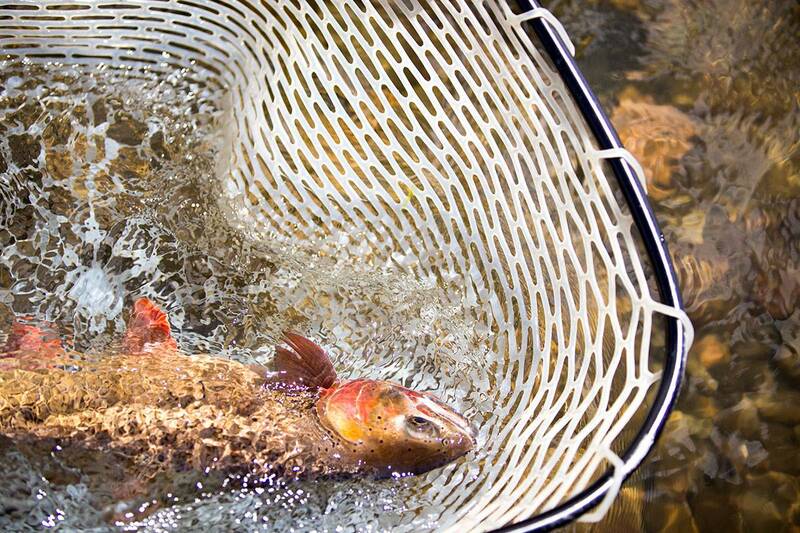 Cutthroat trout are great indicators of water quality, as they prefer very clean, pristine waters. Rainbow trout have no markings under the jaw, but have white tipped fins and a red tone along the lateral line. The lateral line is a line most fish have that runs along both sides of the fish and is very sensitive to sound, temperature and touch — sometimes referred to as the ear drum due to its sensitivity. 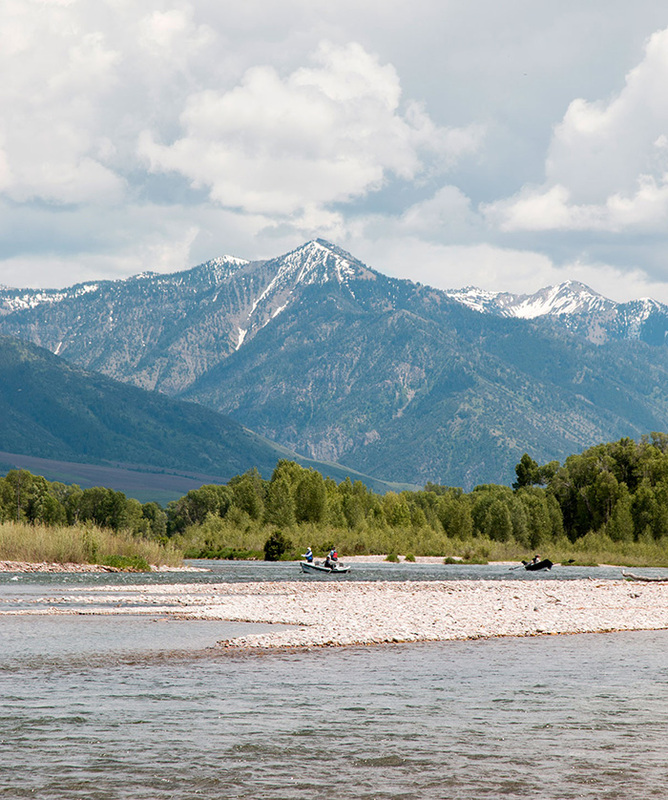 Because Rainbow trout are non-native, and very populous, there are no restrictions on catching and keeping the fish. Mountain whitefish have large scales, no spots, and small mouths without teeth. They're native to many of the waters of Idaho, and are more flexible in their environmental requirements than other cold-water sport fishes. Casting correctly is tricky enough, and then there’s mending, or adjusting the line so that the fly will float with the current instead of dragging behind. I barely notice that the sun is heating up, sweat is trickling down the back of my neck, and my legs are starting to cramp. The whole enterprise is a bit like meditating, conducting a science experiment, and competing in an endurance event all at the same time. I glance at my watch and am shocked to see that six hours have passed. In psychology, this feeling is called flow. It’s when you’re so immersed in a task that everything else fades away. The researcher Mihaly Csikszentmihalyi interviewed 8,000 people, from CEOs to monks to mountain climbers, about their experience of flow. 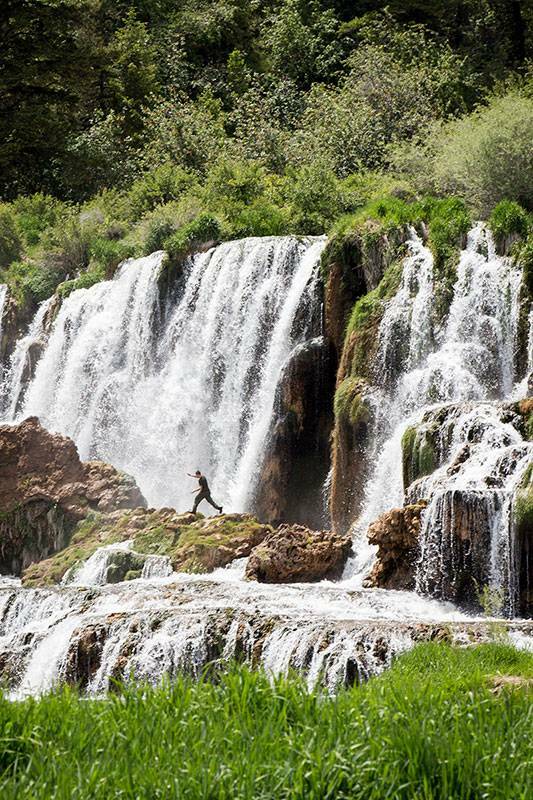 He found that being in flow decreases anxiety, increases creativity, and boosts the release of the “happiness hormones” serotonin and dopamine. 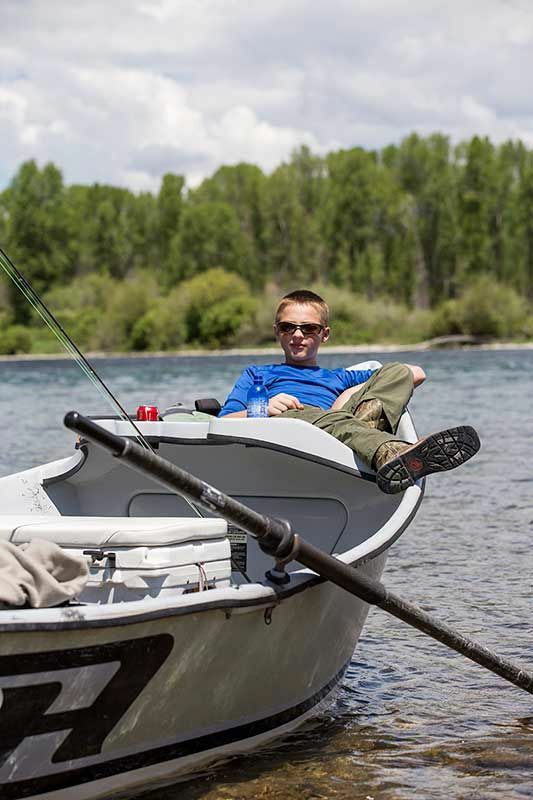 Athletes call this “being in the zone.” At On River Time, they just call it fishing. 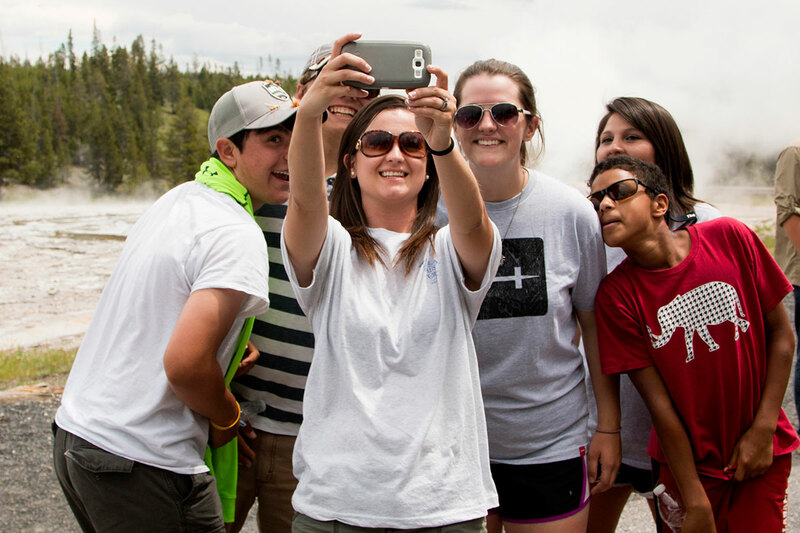 Like most of the 15 teenagers at the camp this year, Kyle and Jess live at Big Oak Ranch in Birmingham, Alabama. Some of their peers also come from Still Creek Ranch in College Station. Both are Christian group homes for children who have been abused, neglected, or abandoned. “There are no bad kids, only bad situations” is the motto of John Croyle, Big Oak’s founder and a former University of Alabama football star. He recounts the horrors the campers have survived: One boy was found with more than 100 burns on his body. Another was adopted from Eastern Europe, only to have his new parents change their minds. A girl was raped by her father. Others were simply told “You are worthless” until they believed it. You would never know this from spending time with them. 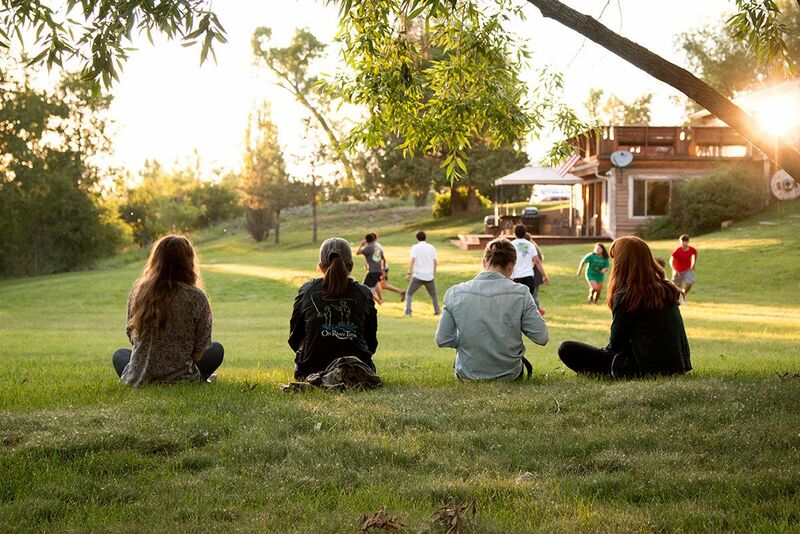 All the campers are, if anything, more mature, independent, and well-spoken than your average teenager. “Not all of them make it,” says Angela O'Connor, a social worker at Big Oak. 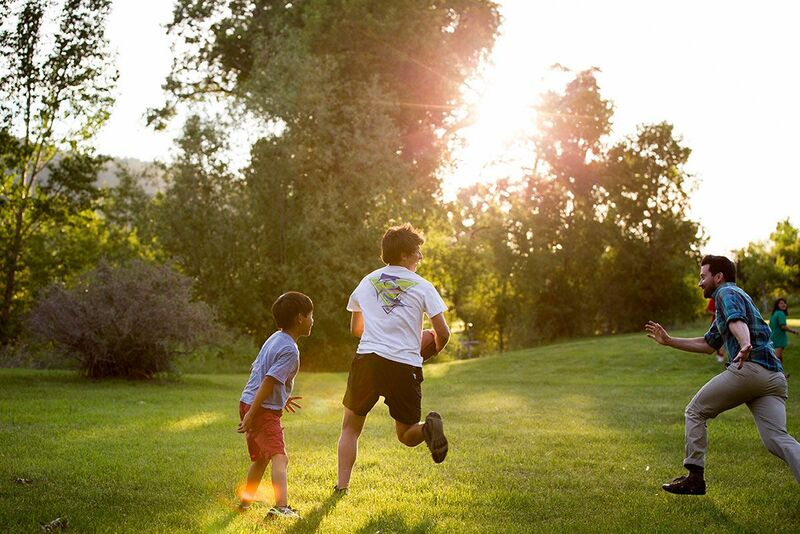 “The ones who do, they’re incredible.” Those who are thriving at the ranch are chosen to attend On River Time as a reward. One attendee is a finalist for admission to the Naval Academy; another is aiming for a top veterinary school. “I want them to leave here with bigger dreams,” says executive director Jeana Durst. Four years later, that idea has grown from a one-man operation to a fully fledged nonprofit. 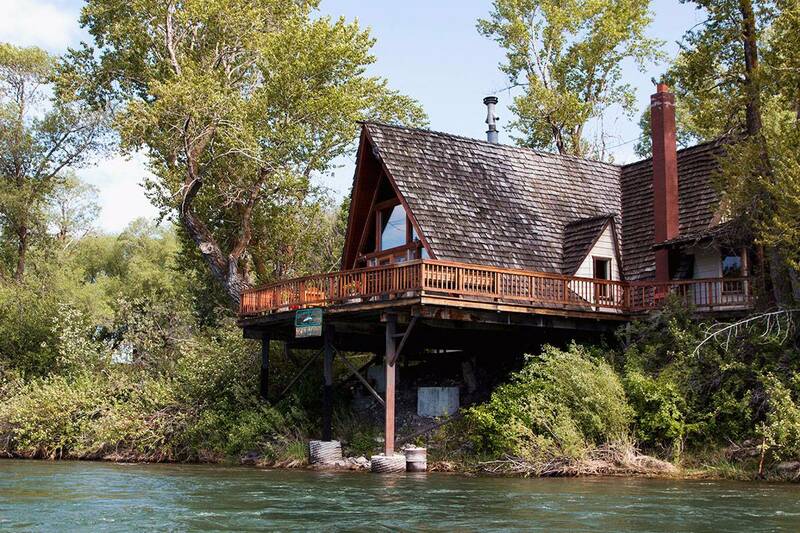 Plans are underway to build an On River Time cabin at the lodge to expand capacity and help raise funds. 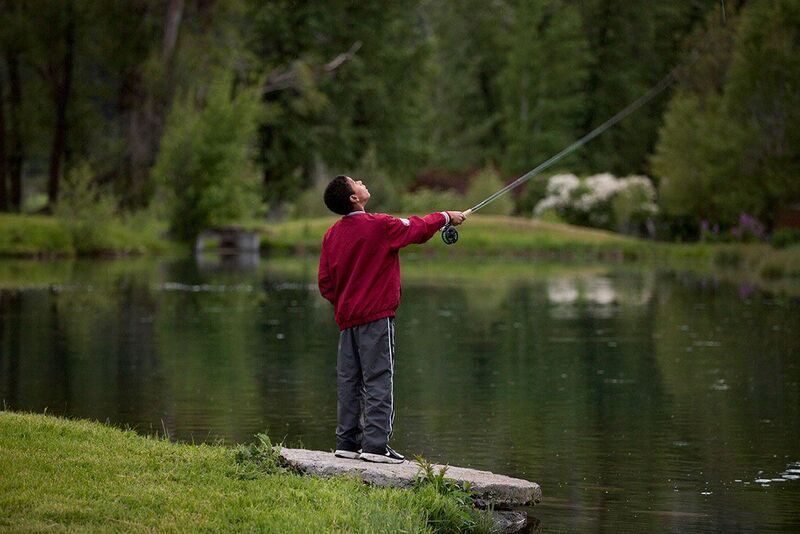 Fishing companies donate equipment, and the lodge—normally an exclusive retreat—shuts down for a week so the kids can have it to themselves. 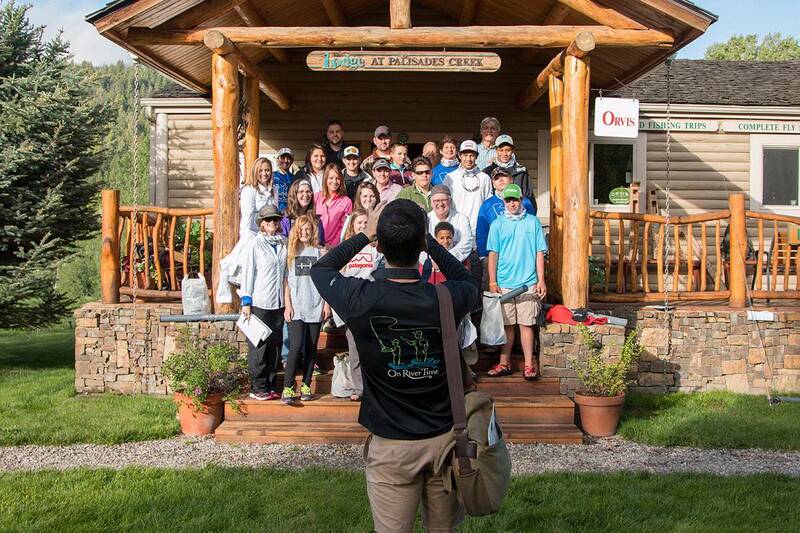 They compete for prizes for the best and biggest fish and listen to lectures on ecology and conservation. Executive director Jeana Durst leads discussions on topics like hope and trust. “I want them to leave here with bigger dreams,” she says. In the afternoons, cottonwood blooms drift through the sunlight like snow as groups of teenagers run across the lawn and lounge on the deck with cans of soda. Durst’s 8-year-old son scampers up to anyone who will listen and announces, “I’m a monkey!” The atmosphere is loose, collegial, more like a big family vacation than a summer camp. 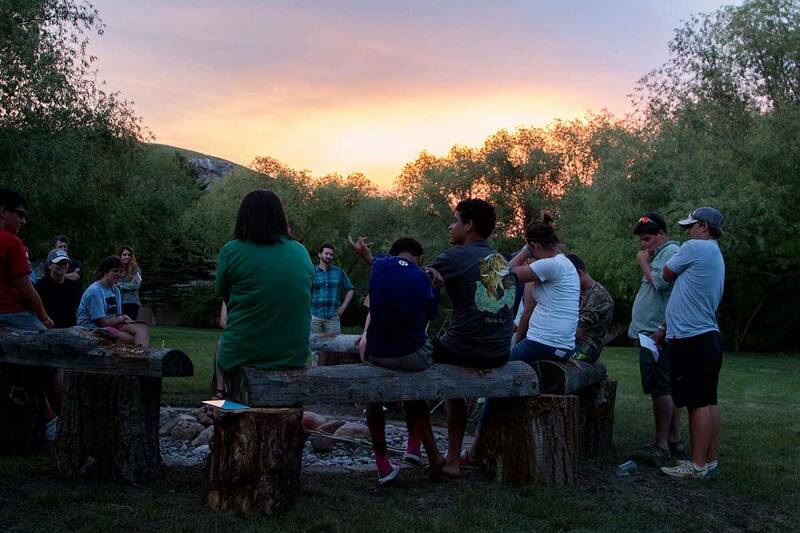 On the second to last night, everyone sits on tree stumps around a fire pit that the kids built earlier in the day. Sweatshirts come out as temperatures drop into the 50s. 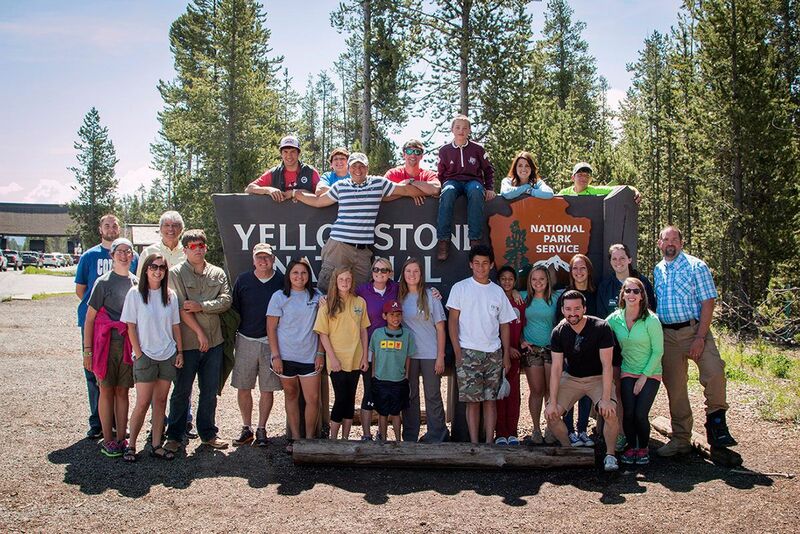 In two days the campers will tour Yellowstone National Park, oohing and aahing at technicolor hot springs and geysers, and in three days they’ll be home in Alabama and Texas, doing chores and going to summer school—but tonight, they are here in the mountains. 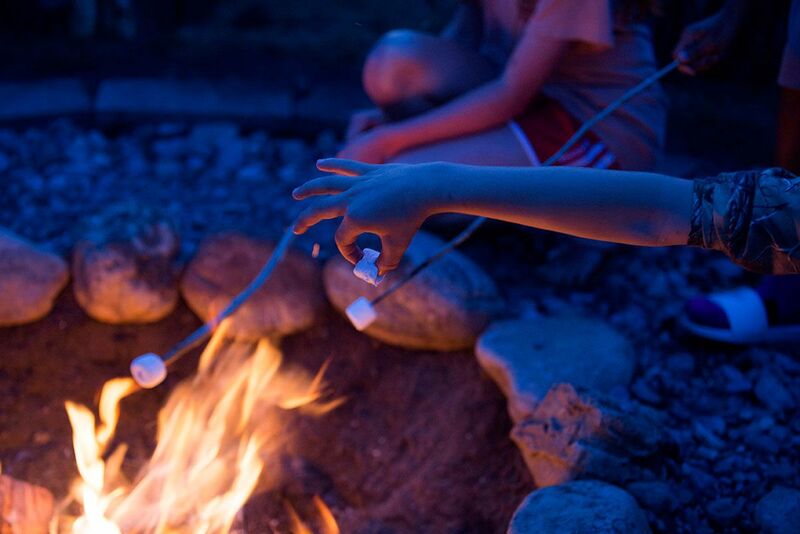 After s’mores and stories, when everyone falls quiet, Davis starts talking. “I used to be afraid of so many things,” he says, “but I’m learning to let that go.” He pulls an envelope out of his pocket and tosses it into the fire, and one by one, each child does the same. Inside, they’ve written down their greatest fears. We all watch as the papers glow red, crumble, and blacken into ash. The smoke trails up into a sky mapped with stars, then disappears from sight. *Participants' names have been changed.